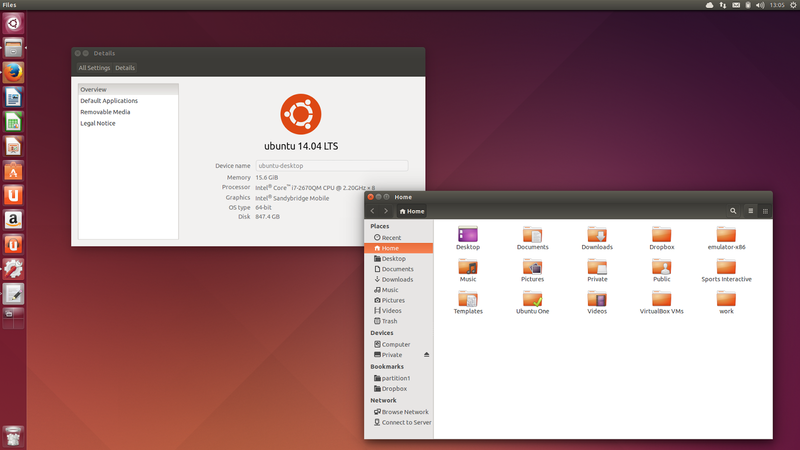 Ubuntu 14.04 Trusty Tahr LTS final beta is available for download, this being the first and only milestone for Trusty. Read on to find out what's new! Note: this is the first and only Ubuntu 14.04 beta, even though the ISO says "beta 2" however, some Ubuntu flavors already had a beta release so today it's beta 2 for Xubuntu, Lubuntu and Kubuntu for instance. 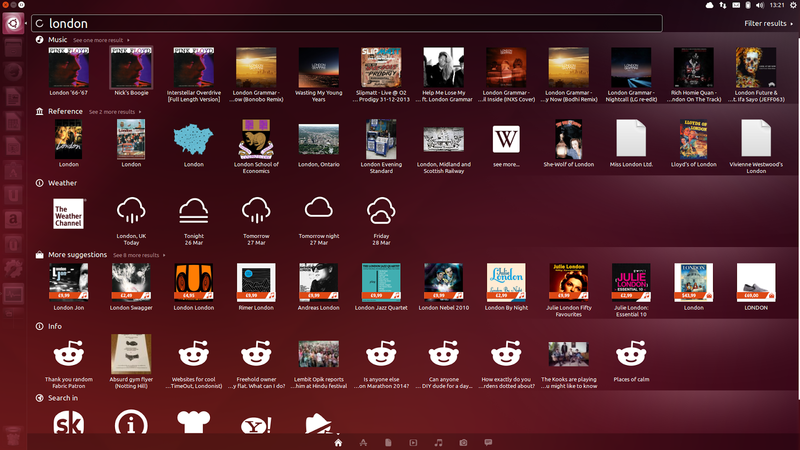 Ubuntu 14.04 ships with Unity Control Center and Unity Settings Daemon, forked from GNOME Control Center and GNOME Settigns Daemon so it doesn't interfere with Ubuntu GNOME. Unity now uses GTK3 CSS themed window decorations, instead of the Compiz decorations. The new decoration support full GTK 3 theming and they introduce improved resizing speed and anti-aliased corners as well as a fix for an old regression: the panel is now right-clickable when a window is maximized with global menu enabled, displaying the same menu that's available when right clicking an unmaximized window titlebar (lets you minimize, unmaximize, set the window always on top, move to workspace, etc.). two years after this feature was first announced (and then abandoned), Unity finally got locally integrated menus (LIM). Locally integrated menus are displayed in the window decorations for unmaximized windows, instead of the default Unity approach which is to display the menu on the top panel. There is one thing that the default Unity menu and LIM have in common: both are displayed on mouse over and there's no option to make the menu permanently visible, at least not yet. LIM can be enabled via System Settings > Appearance > Behavior > Show the menus for a window > in the window's title bar. Unity Spread (triggered by clicking on an application icon in the Launcher which already has focus and has multiple windows or for all open windows, by pressing SUPER + W) has received support for filtering windows by title. The search field is not displayed by default in the Unity Spread, but as soon as you start typing, the windows are filtered by their title and a Dash-like search is displayed on top of the spread view. a lot of HiDPI work: Unity got improved support for HiDPI screens, though from what I've read, there are still some bugs regarding this (and I can't test it since I don't have an high pixel density display). 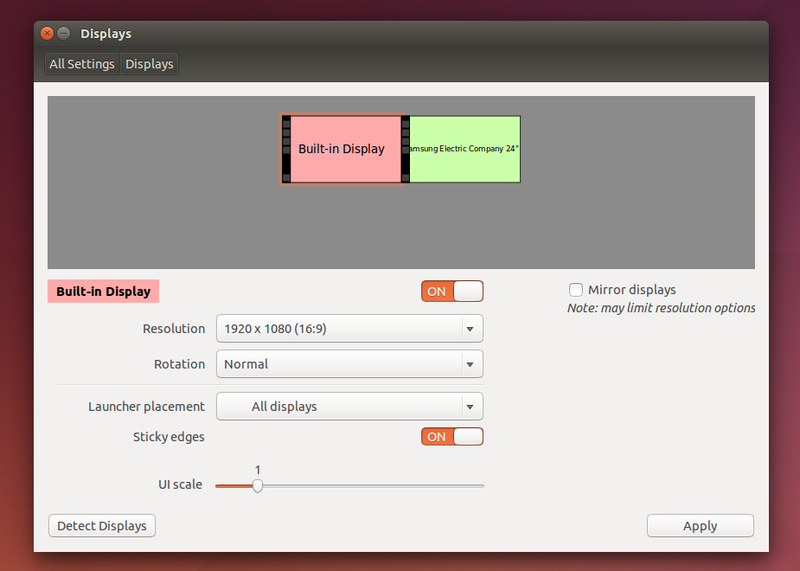 The UI scale can be set from System Settings > Displays. 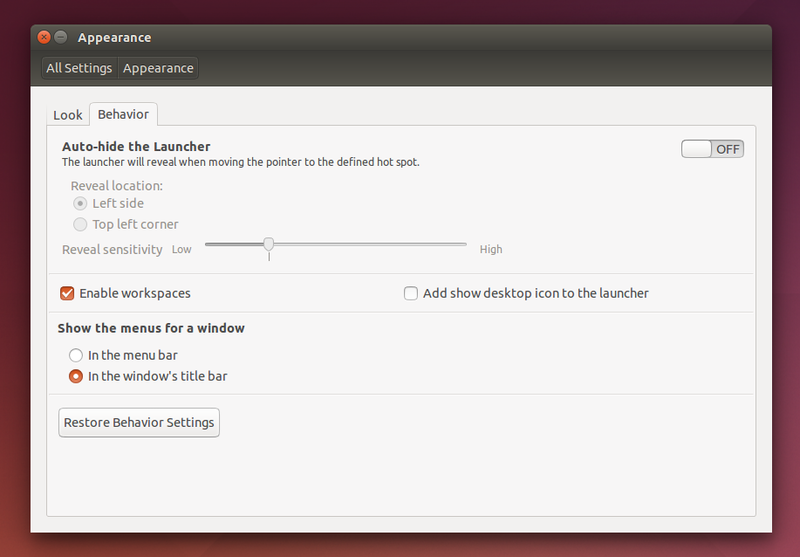 you can now set Unity to allow minimizing applications by clicking their icons in the Unity Launcher. This option is not enabled by default and it can be enabled via CompizConfig Settings Manager (Unity Plugin > Launcher > Minimize Single Window Applications (Unsupported)). This feature only works for single-window applications so if an application has two windows, it won't work. "live" window resizing. Until now, resizing windows in Unity would only display a frame with the new window size and the actual resize would only happen after you were done resizing the window but starting with Ubuntu 14.04, the windows are resized in real time. 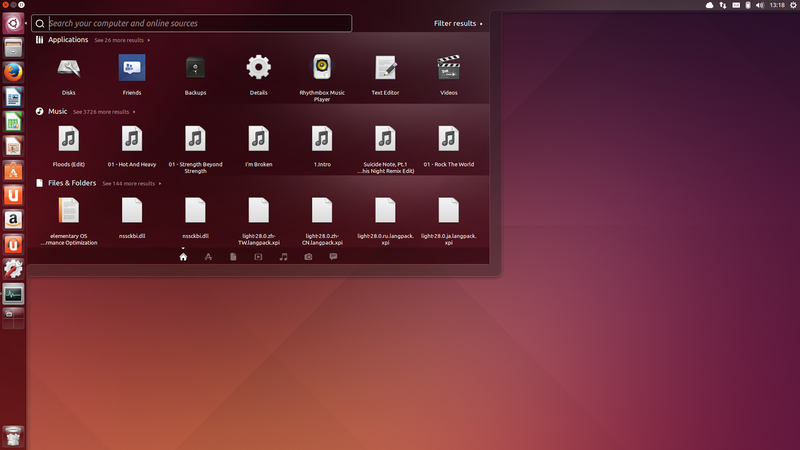 the default Ubuntu 14.04 themes (Ambiance and Radiance) no longer use window borders. Unity global menu can now be disabled for individual applications (via Dconf for now). the Unity launcher can be scaled down to 8px. TRIM is now enabled by default for Intel and Samsung SSDs. TRIM allows the OS to "inform a solid-state drive (SSD) which blocks of data are no longer considered in use and can be wiped internally". Without this, the write speed on SSDs becomes very slow over time. 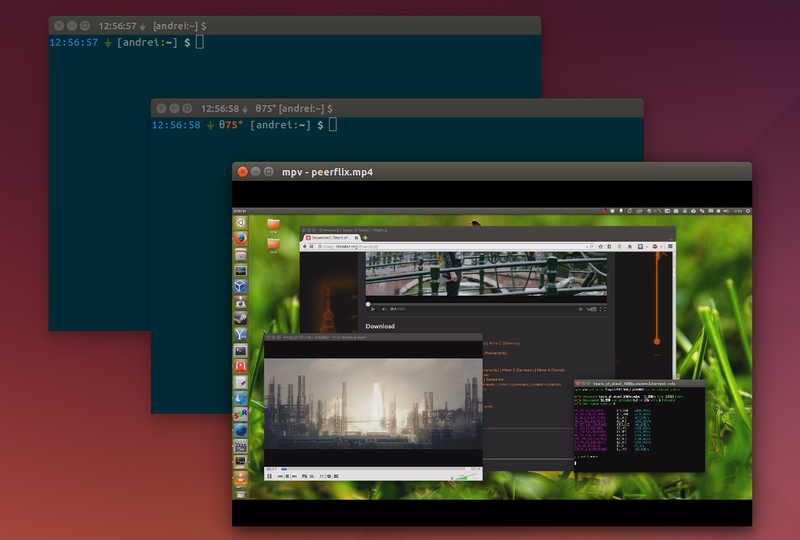 A Unity 8 preview session is available to install via the Ubuntu 14.04 repositories. However, the session is currently broken and installing it may break your system so don't install it for now! 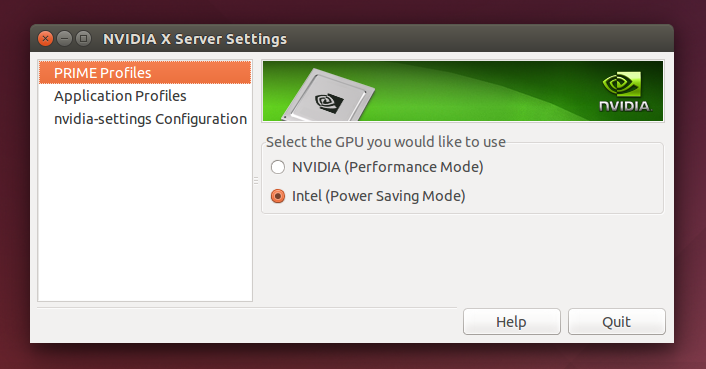 Nvidia Optimus support has improved a lot in Ubuntu 14.04 Trusty Tahr: Nvidia-prime now supports switching between the integrated and discrete GPU and thanks to this, Nvidia Settings itself also supports switching between GPUs. xorg-server was also updated with various Nvidia Optimus fixes, including a patch to fix GPU screen output hotplugging. Nautilus was updated with a patch that allows switching between the type-ahead find (interactive search) feature that was available in Nautilus 3.4 and the new recursive search that was introduced with Nautilus 3.6. Further more, the default behavior in Ubuntu was set to type ahead find, instead of the recursive search that was used in the previous Ubuntu versions (and which is default in upstream Nautilus). Ubuntu 14.04 Trusty Tahr final beta ships with the following applications by default: Nautilus 3.10.1, Firefox 28, Thunderbird 24.4.0, LibreOffice 4.2.3, Ubuntu Software Center 13.10, Gedit 3.10.4, Totem 3.10.1, Rhythmbox 3.0.1, Empathy 3.8.6, Transmission 2.82, Deja Dup Backup Tool 29.5, Shotwell 0.18.0 and Brasero 3.10.0, on top of Unity 7.1.2 daily build as of 21.03.14 and GTK3+ 3.10.7. Trusty beta uses the Ubuntu Linux Kernel 3.13.0-19, Xorg 1.15.0 and Mesa 10.1.0. Ubuntu 14.04 Trusty Tahr final beta may not be stable yet, but many (myself included) find it very stable already. That said, this is still beta software, so it's not recommended to install it on production machines! If you've installed an Ubuntu 14.04 Trusty Tahr daily build and you've updated the packages through Software Updater, you already have Trusty fiinal beta, so there's no need to reinstall it. 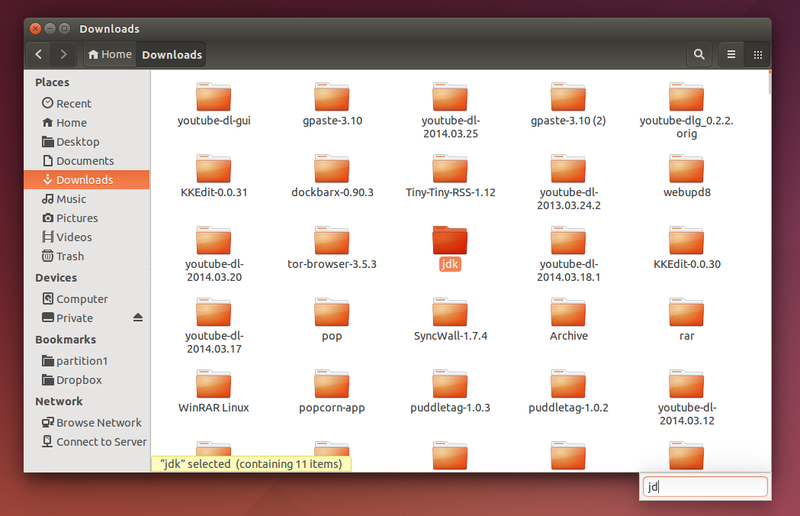 This is the only Ubuntu 14.04 Trusty Tahr beta release (not counting the other Ubuntu flavors). 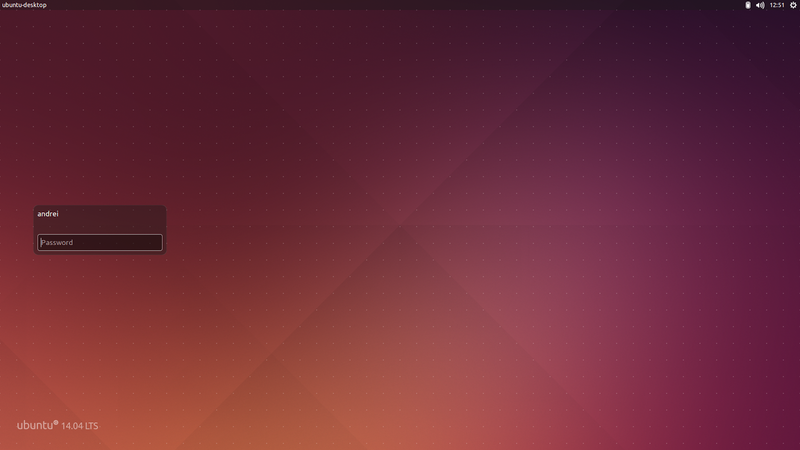 Ubuntu 14.04 will be released on April 17th.